← Hey! Call that Taxi! 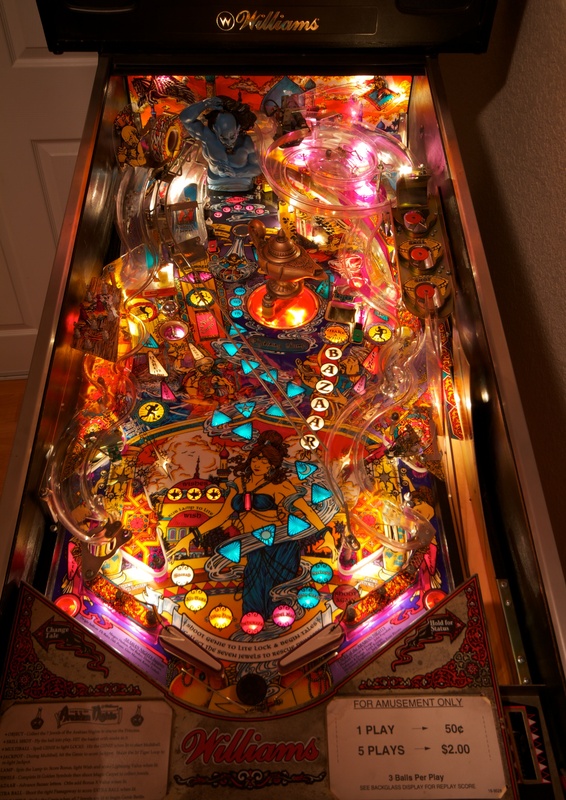 Presenting Tales of the Arabian Nights, the latest machine in my growing collection! 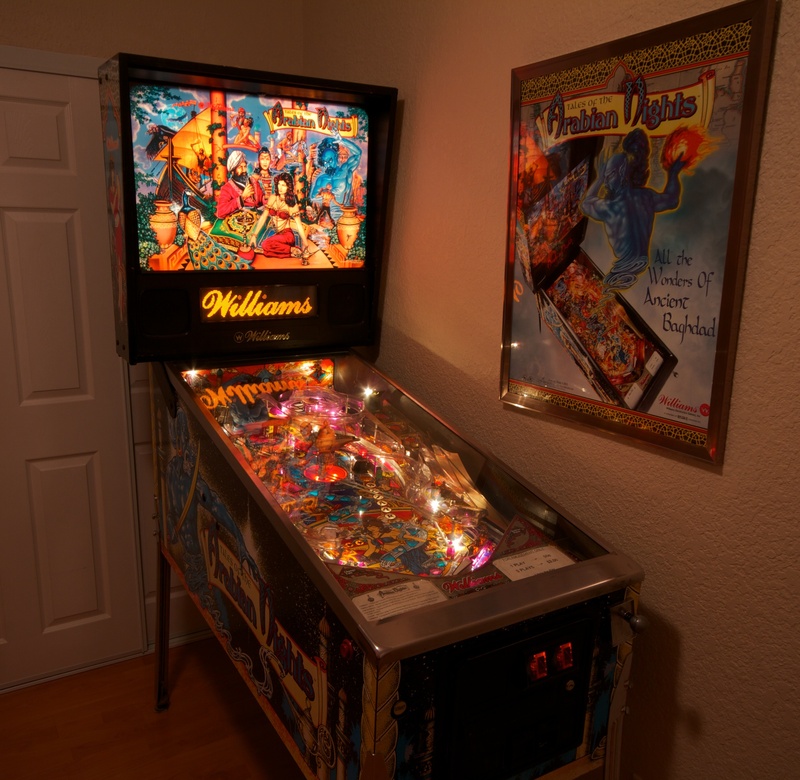 Designed by John Popadiuk and released by Williams in 1996, it is regarded by many as having one of the most artful and beautifully designed playfields in all of pinball. AND it’s super fun! 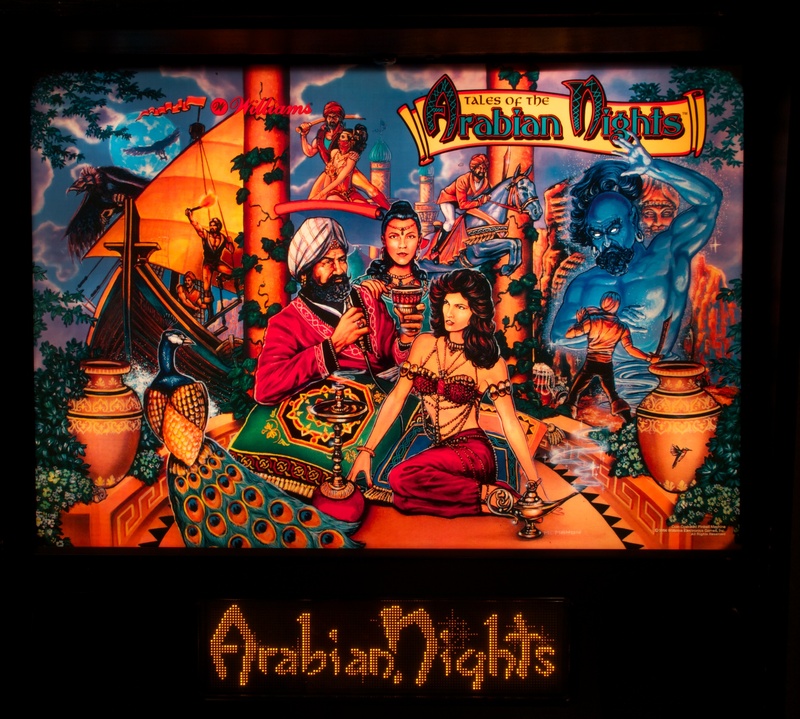 Unlike most modern machines that are full of ramps, Arabian Nights has only one – but through the clever use of two diverters, a mechanical one and a magnetic one, and the use of low points with drop holes, there are at least five or six distinct exists to the ramp! Pretty cool, and definitely novel. I installed a Flipper Fidelity sound system in it as soon as I got the machine, and removed the LEDs installed by the previous owner to restore it to all its incandescent glory. Other than the upgraded speakers, the machine is unmodified and fully working! I plan to restore the bottom apron (below the flippers) as the paint there is not looking super nice. And does have a few missing decorative plastics. That said, I sprung for a NOS complete plastics set so I should be able to get it quite nice! Click the pictures below for larger versions! This entry was posted in Uncategorized and tagged totan. Bookmark the permalink. 1 Response to Unleash the power of the lamp! A gorgeous game without LED’s. Great job bringing it back to original!